Hello everyone! It's the week before Mother's Day and I am so excited to share some really fun giveaways with you! I've been rather lucky lately and actually won a couple small giveaways on blogs over the past month (I'm shocked), so I feel like it's my turn to pay it forward. This week I have THREE amazing opportunities for you to win some really awesome products from fantastic vendors. I've never really done giveaways on the blog, so I really hope it goes well! I'm excited about these products and I hope you are too! You can enter by using the Rafflecopter below. 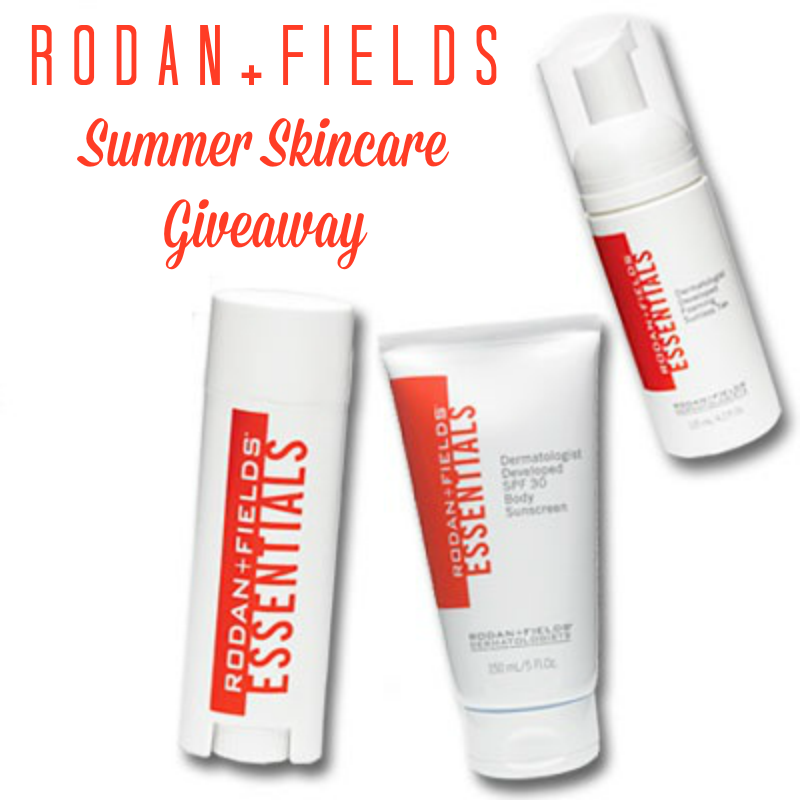 First up is a giveaway for a Rodan + Fields summer skin-care package, from by BFF (and maid of honor), Kasey Cammon. Kasey and I have been friends since high school and have been through it all together (she has put up with a lot from me). 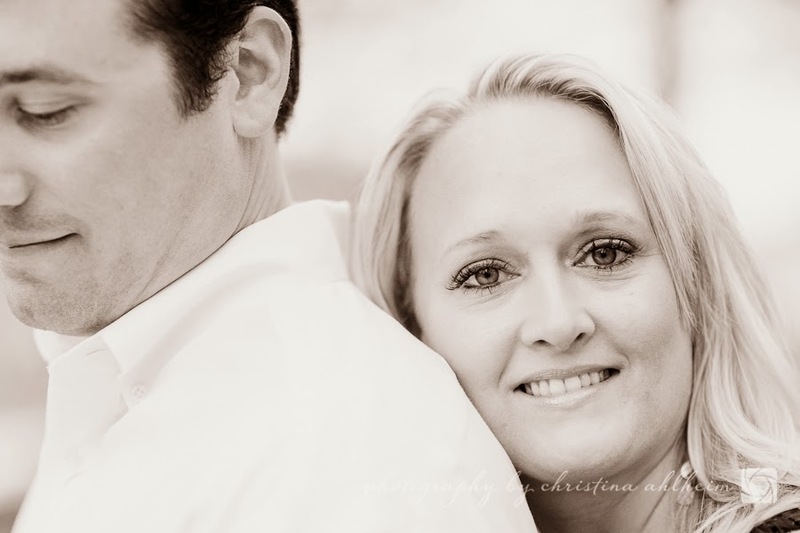 She's a newlywed (married to one of my husband's high school best friends), world traveler, former x-ray tech, Texas cowgirl at heart and recently started selling Rodan + Fields products. I can personally tell you that she's one of the most fun and hardest working people I know. She's having a blast being a R+F consultant and constantly makes me jealous that she does so well and still has so much free time to travel and play (she included info on becoming a consultant below, if anyone's interested). Anyway, Kasey is offering a summer skincare package consisting of foaming sunless tanner, lip shield and sunscreen. These products are perfect for this time of year when the sun is finally coming back out and we're all soaking it up as much as we can. So, without further ado, let me introduce you to Kasey! My name is Kasey Cammon, and I live in Saint Louis, Missouri. I was approached in October of 2013 by a colleage about Rodan + Fields. At this time in my life I was in a transition period with my current medical sales job at IDev Industries. IDev was in the process of being acquired and I knew my future with them was going to come to an end, I just didn't know when. Lorane Smith is a very successful fellow medical sales associate that I have known for a many years. She shared the Rodan + Fields business with me and I was very intrigued, but confused. Why would she choose to sell skin-care products on the side on when she was so successful and respected in her career, had 3 small kids at home and a very active family. She sent me the before and after pictures of what these products did for her and I was immediately sold. She loved the products and also the potential to make extra money. I signed up that night. As I am a believer in all things that happen for a reason I had to laugh when I got the call that I had been laid off just 12 hours after signing up to sell Rodan + Fields. 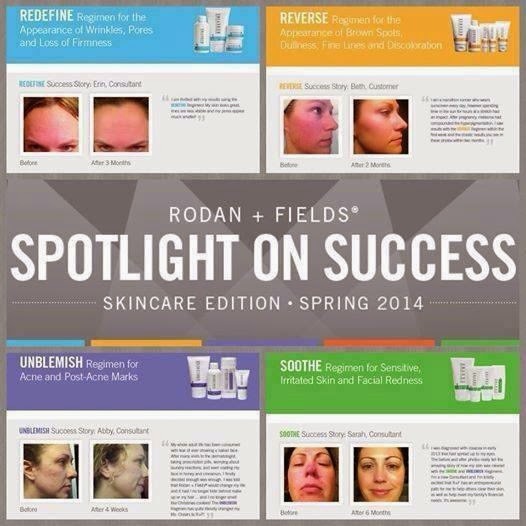 Dr. Rodan and Dr. Fields both graduated from Stanford School of Medicine as doctors of Dermatology. They were told to find their purpose and make a difference, and they did more than they ever dreamed of. They created an acne medication that could be sold with out a prescription. This product was Proactive and became the #1 selling acne treatment in the world. The doctors decided to do the same thing for anti-aging that they did for acne, and created Rodan + Fields. The doctors first launched Rodan + Fields in the high-end retail setting in 2002 (Nordstrom, Macy’s, and Bloomingdales). By 2007, it was a top selling clinical skincare brand. But the doctors wanted to reach more people, and change more skin and lives. So they decided to move out from under the glass counter, into direct sales — they were building their brand through word of mouth referral as it was, and they knew direct sales would be a powerful channel for them. Today R+F does multiple times more monthly sales volume than we did being #1 in Nordstrom. There are a few products that have definitely transformed my skin. There are 4 main regimens offered by Rodan + Fields: Reverse (for sun damage skin), Soothe (for sensitive skin), Unblemish (acne) Redefine (anti-aging). 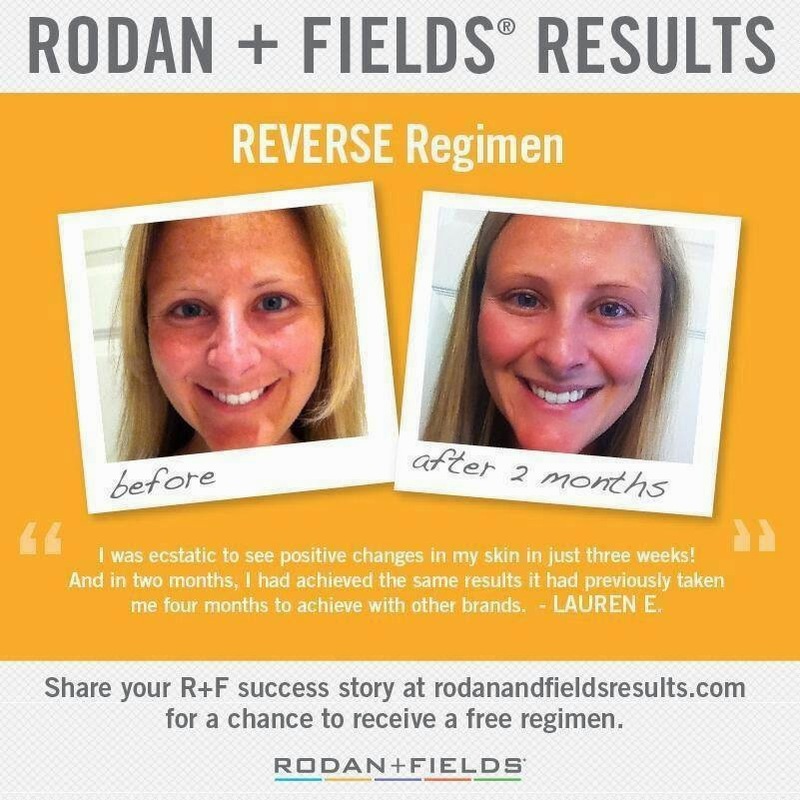 I absolutely love the REVERSE regimen. If you're one of the more than 100 million people in the US with sun damage, dark spots, and dull skin, Reverse is a great option for you! It’s like boot camp for the skin! It helps to even out the skin texture and tone, and helps to eliminate the brown spots, giving you radiant, youthful, healthy looking skin! This was a #1 seller in Nordstrom and seen on Allure Magazines A-­‐List! I am also OBSESSED with the Amp MD system. I use this every day! The roller has 200 micro needles attached that make micro puncture holes on the outer layer of the skin that allow for medications to penetrate deeper and promotes new cell growth. The company just launched into the United States a few years ago - and we are now launching your area (including CANADA in August)! We are looking for leaders we can train to the top to grow their local market, and springboard from there. I'm sure you're aware how important it is to have residual income. With our program, we have results oriented skincare - as people continue to use it (some have used Proactiv for decades) this gives us a great base. We also get paid 3 ways, most of them being residual: Customer sales, team volume, and bonuses. R+F's plan is said to be the most lucrative in the industry. R+F's doctors are practicing physicians with award winning anti-aging practices in the Bay Area of California. They carry the products in their practices - and these products have gotten more unpaid for media coverage (readers and editors choice awards) than any skincare company, and all of the direct selling companies combined! Our target market is everyone with skin. We're all aging all the time...that's actually good news for us because everyone is looking for a solution and we have it! We received major media coverage each month with our new Amp MD Anti-Aging System. The month it launched, we were on the cover of Allure Magazine, then we were on the Today Show, and we are now up for nomination for the "Best of Beauty Award" in Allure Magazine! That's like the Oscars for skincare! Because of the demand, this ensures you have a stable business and income for years to come! Can learn about the business at www.kcammon.myrandf.biz I can offer a free gift for anyone that signs up as a consultant. Lip Shield: Because the skin on lips is so thin, this area is highly sensitive and particularly vulnerable to showing signs of dryness and aging. ESSENTIALS Lip Shield Broad Spectrum SPF 25 goes beyond moisturization to provide protective skincare for the lips. This hydrating lip balm soothes, softens and protects lips from the aging and burning effects of the sun with SHIELDrf, an exclusive complex of stabilized avobenzone and anti-oxidant/anti-inflammatory colorless carotenoids for effective UVA sunscreen protection. This non-waxy formula contains collagen-stimulating peptides to smooth lip texture, lipid molecules for long-term moisturization and dimethicone to protect the delicate moisture barrier. Vitamins A, C and E provide anti-oxidant protection, while shea butter, avocado and sunflower seed oil hydrate and moisturize. Sunscreen: Formulated for all over the body use, ESSENTIALS Broad Spectrum SPF 30 Body Sunscreen is a lightweight, non-sticky and non-greasy broad spectrum sunscreen. It contains dimethicone to protect skin’s moisture barrier, antioxidant vitamins C and E to absorb damaging free radicals and anti-inflammatory ingredients to protect skin from environmental stress. Thank you Kasey for hosting such a great giveaway! I've been wanting to try R&F for awhile! Would love to win, very curious about these products! Would love to try the sunless tanner! Sunless Tanner, for sure! I'm a pasty white mess in the winter. And spring. And half of summer. I would love to try the sunless tanner! Unblemish. I have such a hard time finding something that will tame by acne! Love trying out new skincare products! 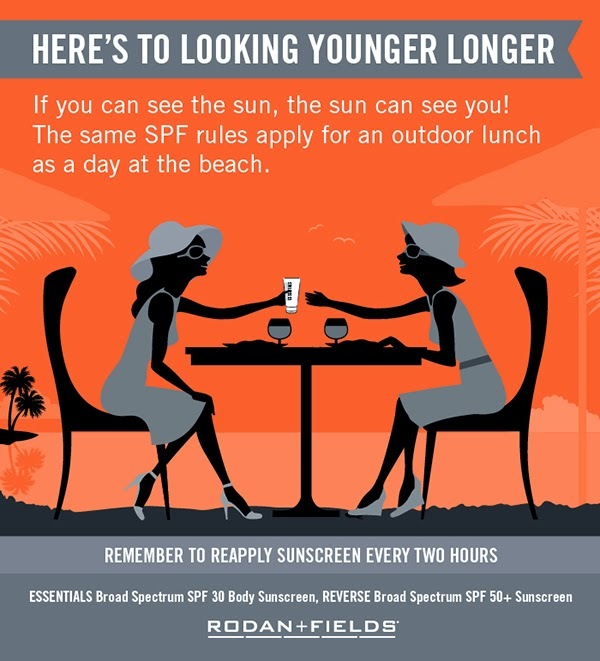 As a fair-skinned lady who loves sun, I'd love to win that sunscreen! i've been thinking about trying R+F for a while - really need a good sunscreen, so that would be fun :) also, "everyone with skin" is a hilarious target demographic. love it. The tanner sounds interesting. I've never used one before. I'm interested in trying their products! I have been wanting to try these products for quite some time - definitely interested in anti-aging and products that are safe for pregnant/breastfeeding ladies! Ok, so I have tried some of their products and LOVE them, but I really want to try the chapstick with sunscreen...I get sun blisters on my lips and need SPF in my chapstick, but all of the "store" brands have so many bad ingredients in them!! I have been wanting to try R&F for a while too! I really want to try the reverse line. I would love to win one of these products! I always love a good sunless tanner! I need this so much as I am pregnant with #2 and braking out like crazy! I need the reverse line too. This surprises me, but what I really really want is that lip shield. I`d like to try this sunscreen.